I built an X-ray backscatter imaging system from parts found on eBay. This system works by scanning a very thin beam of X-rays across the target, and measures the amount of backscatter for a given beam position. The beam is scanned mechanically by a rotating chopper (collimator) wheel, and by tilting the rotating wheel on an orthogonal axis. The output image is generated on an oscilloscope by matching the horizontal scan speed to the rotating wheel, and using a potentiometer to measure the vertical axis position. The scope's brightness (z axis) is controlled by the amount of backscatter signal received by a large-area detector. Thus, the image is constructed bit by bit. I used a long-exposure shutter on my camera to see the image formed by the moving oscilloscope trace. While at UCSB, I built a bridge from carbon fiber and aluminum with the help of three other students. 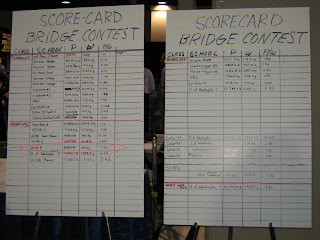 We took first place in the SAMPE lightweight bridge-building competition held at Long Beach in 2005. 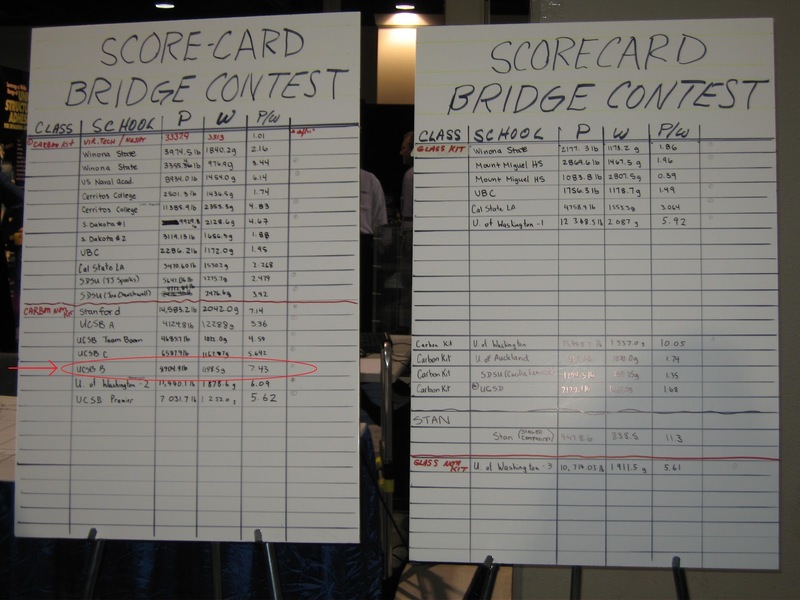 The bridge spanned 24", weighed 2.62 lbs, and supported 8905 lbs at mid-span before failure. 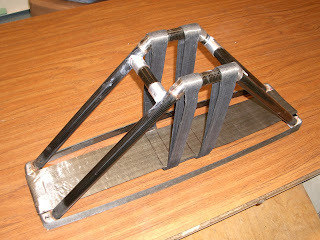 It was built from pre-made carbon fiber tubes for compression loads, which we joined together with aluminum end brackets. We added unidirectional carbon fiber ribbons to handle tension loads. The fibers were pre-impregnated with epoxy resin, and kept in a freezer until they were laid in place and cured at high temperature and pressure. It seems strange that a single piece of glass can compute the Fourier transform of an image, but it is true (sort of). I explore an optical arrangement known as a 4F correlator, and note the practical considerations that are rarely discussed in existing sources. I built a large area detector that is sensitive to X-rays and will be used in an upcoming project. The detector is constructed from a "Lanex Regular" X-ray intensifying screen, and a Hamamatsu R6094 photomultiplier tube (PMT). The PMT amplifies the light from the intensifying screen which is emitted when an X-ray strikes the screen. 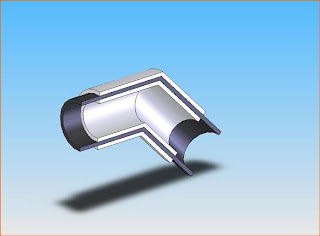 The area of the screen allows it to catch many X-ray photons created by backscatter. The PMT is setup with a simple 100K resistor between the anode and ground. A 1V output corresponds to a 1 microamp anode current. I'll probably add a very simple opamp circuit to this, and then pipe it into an A/D converted for digitization.